Alpha Dermatology of PA, LLC (New Hope) - Book Appointment Online! Board Certified Dermatology - Specializing in skin cancer screening and treatment. Alpha Dermatology also has the latest laser and cosmetic dermatology solutions. Alpha Dermatology has locations in Bucks and Montgomery County. Led by Dr. Daniel Shrager and Carly Overland, PA.C. 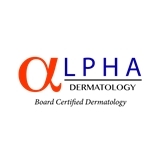 Alpha Dermatology is managed by a Board Certified Dermatologist and American Academy of Dermatology Fellow. We offer a full range of dermatology services, including Botox and Juvederm. Alpha Dermatology also offers a non-surgical option for the treatment of skin cancers. Got all my questions answered. The doctor was personable, knowledgeable, and informative. Highly recommended.